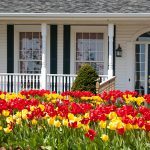 Spring is an ideal time to get outside and enhance your house’s curb appeal. It is prime house-hunting season, which means your neighborhood could encounter several “drive-bys” from interested homebuyers. 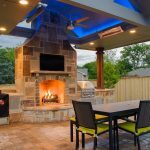 Even if you’re not planning to sell, remodeling an exterior can help raise the overall market value of an entire subdivision. Plus, you always want to make your neighbors jealous. And since nobody can see the beauty on the inside, it’s wise to make the outside of your house as attractive as possible. First check out a quick video where HomeAdvisor expert Dave Lupberger picks out a couple of really easy things you can fix now to increase your home’s curb appeal. A yard makeover is probably the easiest way to make your home more inviting. 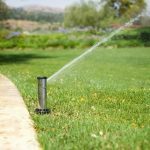 In landscaping, the obvious items are your first concerns: new trees, pruned shrubbery, and overall lawn maintenance. 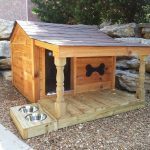 But don’t forget about the little details and accents that complete any yard makeover. 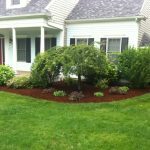 Flowerbeds: Planting foliage around the perimeter of a house can serve many purposes. Adding some nature will always make your home feel more welcoming and beautiful, but it will also add a hint of color to the ground. Plus, flowerbeds hide unsightly foundation lines and lets onlookers know you’ve put some TLC into your home. Planters: Flowerbeds are a simple addition to any yard makeover, but if you don’t have the time to tinker in the garden, then seasonal planters may be the easier answer. Simply nail up a couple of inexpensive box-planters under your front windows, add a few plants, and you’ve suddenly created a quaint feature to your exterior appearance. Walkways: Landscaping doesn’t just pertain to plants; it includes the entire architecture of your lawn. Think about installing some unique walkways which lead guests (and the eye) right up to your entryway. 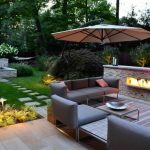 Concrete is certainly a way to go, but interlocking pavers have become a popular trend that blend an old-world look with a hint of modern design. 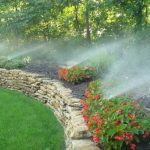 Need to find a pro for your Landscape Design? If your entryway simply consists of a concrete slab and a door, you’re not exploiting its full potential. Your front entrance says a lot about the rest of your house, so you want it to feel warm and welcoming. A porch can do a lot to pique people’s interest, so add some decking, handrails, or new stairways to lure people to your door. Also, don’t think of your front door as a barrier between you and the outside world. It’s not an obstacle to turn people away; instead think of it as a friendly passageway with which to engage your guests. Therefore, decorate it with a seasonal wreath, add a door knocker, install new hardware, or just put down a welcome mat to make any visitor feel more at home. We often talk about the importance of siding since it’s the first thing people notice about your home. Although the type of siding is a big decision, when it comes to curb appeal you also want to consider its overall appearance. Painting: The condition of your siding is what people notice right off the bat. So spring is a perfect time of year to re-paint. A fresh coat can make your house look brand new, and if you’re ready for a change, take advantage of this opportunity to update the color. Trim and Accents: When you paint siding, don’t be afraid to get creative: not everything has to be a universal shade. Feel free to switch things up and create color accents. For emphasis, paint the front entryway or garage door a different color than the rest of the house. Or make your trim pop with some color contrast. And don’t forget your window shutters as well. 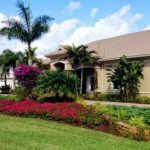 Anything to define individual character and differentiate your place from your neighbor’s will not only help in overall appearance, it will also help make your house feel more like your home. Curb appeal doesn’t just lend itself to the front your house. Don’t forget that people notice what’s going on behind the scenes, as well. So extend your yard makeover into the backyard. Just by adding a vegetable garden, a privacy fence, or constructing a storage shed in addition to your garage can help to raise a couple of eyebrows, followed by a few nods of approval. Which 5 States Had the Most Equity Gains in the Past Year?